Dubai, UAE, April 10, 2019: While technology hasn't always been so much of a focus for construction as it has been for other industries, what it has made way for is cost reduction through the introduction of new materials and processes, allowing for greater value engineering and deeming projects far more economical, especially in the face of potential economic downturn. Because human intervention still plays a key role in operational strategy for construction companies, reliance on technology has not been as imperative as we might observe in other sectors, and the advancements we have seen in construction have been comparatively gradual. Yet as with all growth, continual technological developments in other sectors filter down for adaptation within the construction sector, allowing for the development of more efficient processes that best serve the industry's needs. An example of such technology is contour crafting, which is a concept of 3D printing that has been expanded into construction and has paved the way for better efficiencies in the development of low-cost housing. Software developments have also been instrumental to ongoing success, moving away from drafting by hand to the use of AutoCAD, and more recently, Building Information Modelling (BIM), making processes cheaper, faster, and higher in quality in terms of construction. The Middle East itself is a region greatly leveraging technological advancements in the construction industry and over the past two decades has set the scene for possibly some of the world's greatest construction stories. 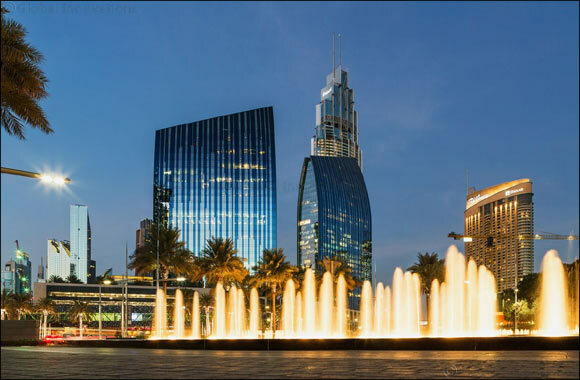 Erecting the world's tallest building to some of the largest and most complex infrastructural airport, museum, and shopping mall designs, the region has continued to push the boundaries of construction. Such feats have inadvertently lead to related technological advancements geared towards engineering marvels and project management for complex structures and programmes. So how can construction companies around the world adopt the technologies they need to increase productivity, in much the same way renowned Dubai-based companies have done? And how can the industry, which has a reputation for being slow to adopt technologies, attract tech-savvy workers, or train the ones they do have? The answer lies beyond robotics and automated building processes. Cutting edge technologies such as BIM implementation and LEED designs are just a couple applications used at Teraciel Group within key projects. The main focus is to integrate operations through a robust and comprehensive ERP System, in order to manage the supply chain and project overall. These robust platforms integrate all aspects of construction across the project life cycle, allowing companies to coordinate at a much greater level, reducing conflicts in terms of design as well as potential delays, whilst shortening project completion and improving overall quality. In addition to this, green building technology has become one of the hottest trends in construction and no longer a new concept to land on the agenda. As a depth of research has confirmed, the benefits of a green technology application in construction are far-reaching and comprehensive, offering significant advantages when used in new facilities as well as existing structures. Green technology makes buildings more energy-efficient and sustainable, so they have a lower carbon footprint and a reduced impact on the environment. Builders, building owners, and tenants all realize considerable benefits from the application of green construction technology. In new buildings, green building construction plays a role in every phase of development. Every aspect of the structure, including siting, design, construction materials, and the systems used to run and maintain operations are chosen to be as sustainable and energy-efficient as possible. Technology is not guaranteed to make the future easier. The resolution of long-standing industry issues – from payment delays to skills shortages – will take more than a piece of software. But it is undeniable that digitisation provides a clear path to much-needed construction resource optimisation and greener solutions. Business leaders must accept and embrace technology to strive forward in tomorrow's market.